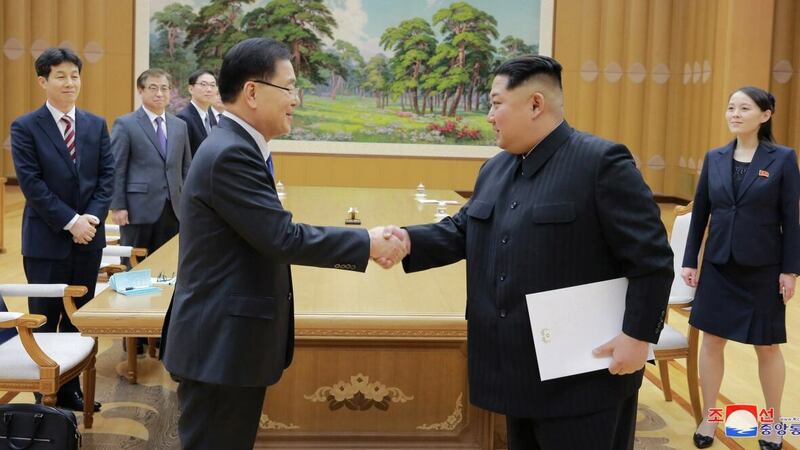 North Korean leader Kim Jong-un has agreed to hold a landmark summit meeting with South Korea’s president next month and impose a moratorium on nuclear and missile tests if his country holds talks with the United States, a senior South Korean official said Tuesday. The agreements follow a flurry of co-operative steps taken by the Koreas during last month’s Pyeongchang Olympics in South Korea. Tensions had run high during the previous year because of a barrage of North Korean weapons tests. The two past summits, in 2000 and 2007, were held between Kim’s late father, Kim Jong-il, and two liberal South Korean presidents. They resulted in a series of co-operative projects between the Koreas that were scuttled during subsequent conservative administrations in South Korea.